Many business don’t do the marketing the right way, especially when it comes to social media marketing. What you need to keep in mind is that your social media campaigns have to be effective and affordable. If done the right way, they can help you grow your business. Targeting the wrong audience is not a good idea. Let’s talk about 5 do’s of effective social marketing. Social media marketing is a the newest buzz in the internet marketing world. If you are not applying any social media strategies to your overall marketing plan, than you are falling way behind the curve, and leaving thousands of dollars on the table for your competitors to scoop up from underneath your feet. 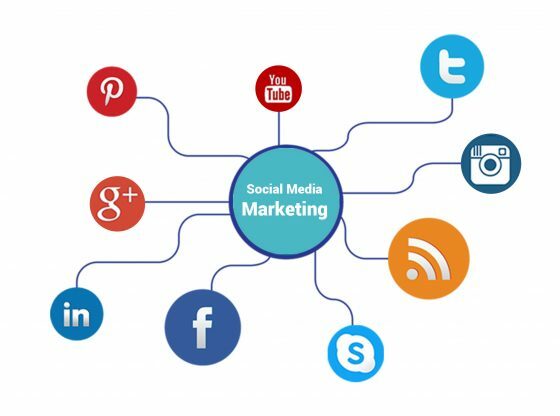 If you are familiar with social media marketing, but overwhelmed with how to implement a real workable strategy, than you will find below a quick start guide to get you on the path to implementing a strong social media marketing plan. On the Internet, you can find a lot of information about marketing. You can find free courses as well as paid ones. Understanding these things is not difficult as long as you want to educate yourself. So, it’s important that your take your time to find out how these marketing campaigns work. Basics are same and all businesses have to optimize their strategies so as to attract customers. How can you find out what your customers want from you? There is only way. You need to listen to them. Aside from this, it’s important that you make use of social media platforms to extend your customer service, as more and more customers present their feedback and opinion on websites, such as Facebook and Twitter. By listening to your clients or customers, you can avail a lot of opportunities too. For instance, you can read up on the key influences to find out how you can improve your products or services. Instead, you should use the smart automation. Blasting out a lot of promotional offers all the time is not a good idea. This may prove counterproductive and your followers may lose interest in your offers. What you need to do is make use of social media to get in touch with your customers and offer useful information. By doing so, you can build a loyal audience that can become your customers. You don’t just need to keep updating your social media pages, it won’t work. What you need to do is keep in touch with your audience and keep them engaged. What matters is their satisfaction. If you engage your audience, you can find out more about the problems that they are facing. Then, you can work harder to resolve those issues and make those customers satisfied. It may not be possible for you to stay active on all of the social media sites. If you are just starting out, make sure you choose one or two platforms and focus all your efforts on them. Most of your customers will be active on two big platforms, such as social media and Twitter. So, these are 5 do’s of social marketing. If done well, they can help you run effective social media campaigns to grow your customers and clients to expand your business.